The Institution has seen tremendous growth in terms of the students strength, infrastructure, amenities etc. The Institution has attained permanent affiliation in 2005 and has been recognized under 2(F) and 12(B) from the UGC in 2006. 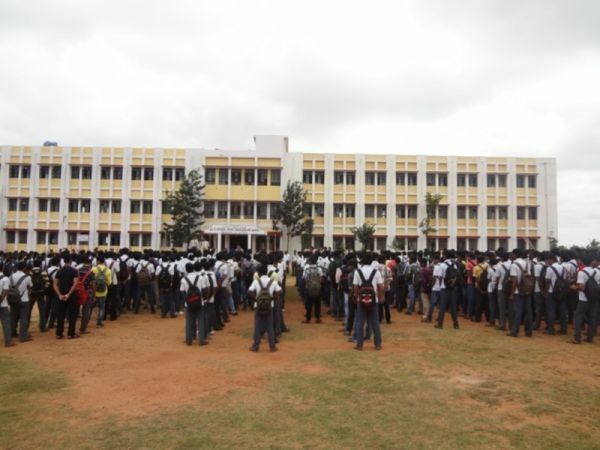 As the Sri D D Urs Government first grade college Hunsur is a developing institution, this college started initially with a low strength, but as year rolled the strength is always at an increasing trend. Because of the increasing demand of higher education in the present day scenario, the development of the existing UG courses and the introduction of PG courses assume great importance. There is a need for the latest equipment/technologies which is of paramount importance in laboratories, classrooms and library which will ultimately help in the overall development. Comparatively the girl students strength is less than boys strength which is mainly due to the non-availability of girls hostel. It is imperative to start a girls hostel as most of the girl students come from rural areas, which will have a positive impact on improving the strength of the girl students in the college. As a part of equity initiatives the institution plans for opening an equal opportunity cell, conduct remedial classes and equity, gender sensitization campaigns and to provide stipend and scholarship for socially and economically backward students. As a part of student support activity, the institution is planning to develop a finishing school which will provide training in soft skills, life skills, spoken English and other skill development programmes. The institution has a good number of doctorate holders and many more are pursuing their doctorate degrees, which requires research environment to carry out research based activities. There is a need for the feasible support system, field based studies and survey, industrial consultancy, arrangement of training, seminars, workshops, FIP, Minor and Major research projects.